This document explains what uniform is acceptable, the sanctions that will be taken for incorrect uniform and the rationale behind the school uniform. We take our responsibility of preparing our students for their later lives very seriously. It is our responsibility as a school to prepare our students for the wider world where rules and expectations are to be followed, and members of a community work within the rules for the benefit and harmony of all. As a workplace, having a uniform plays a large part in this. Most employers have a dress code and other rules regarding the appearance of their employees. We firmly believe that high standards of uniform are inextricably linked to high standards of behaviour and excellent academic standards. 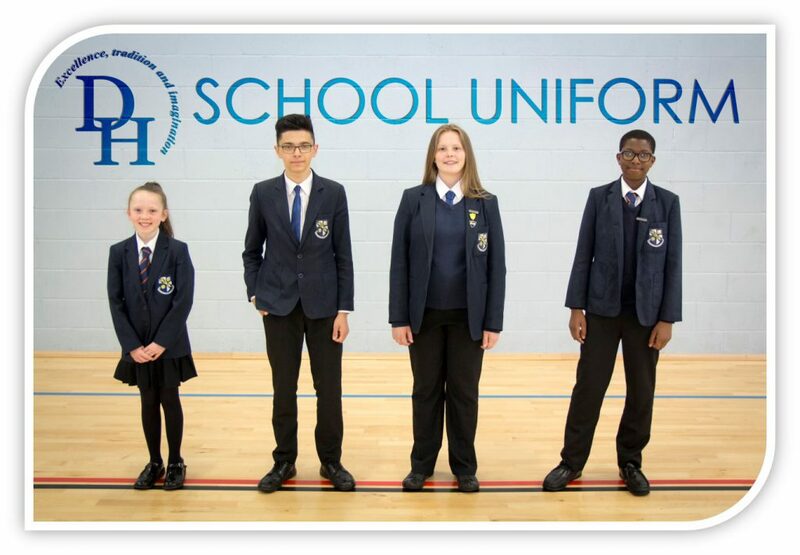 Establishing and ensuring exceptional standards of uniform makes a significant contribution to the ethos of our school. Uniform can give a sense of belonging, purpose or community. Wearing a uniform instils a sense of pride and belonging in our students. Our reputation as a school at the heart of our local community has always been of crucial importance to us. We continually strive to ensure that our standards of uniform and behaviour are exceptional. We ask that parents consult our uniform policy and exercise common sense when buying items of uniform. We ask that parents to ensure that their child leaves home in full school uniform. Having a sensible uniform code can in some cases reduce the cost of preparing your child for school. Items of uniform invariably cost far less than items of leisurewear. 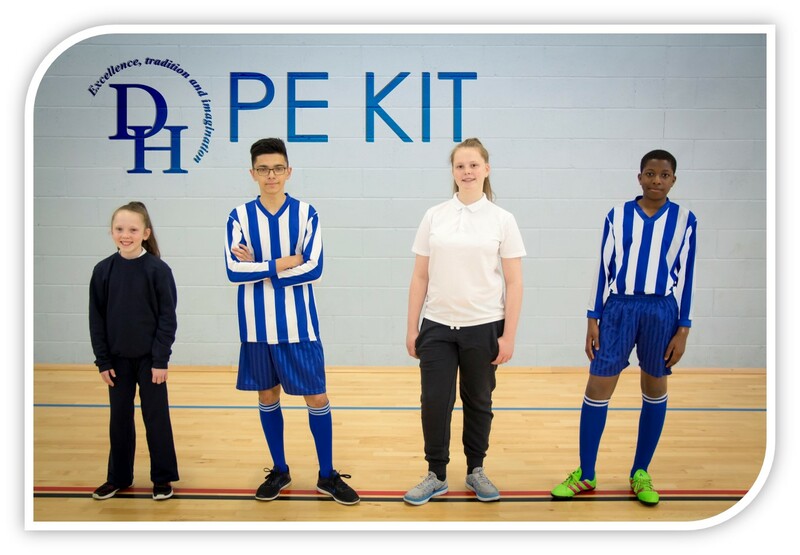 If you are considering uniform or appearance changes that may conflict with our policy, please contact a member of the school’s inclusion team in the first instance. We thank parents for their support in continuing to help us maintaining the highest possible standards of uniform here at the Derby High School. Full school uniform must be worn to and from school. Students who arrive to school in incorrect uniform are subject to our behaviour policy. We will always endeavour to remedy uniform infringements as soon as possible. This may mean contacting parents to request that they bring missing or incorrect items of uniform in. Students who are unable or unwilling to change aspects of their uniform which do not comply with our policy will be detained during break and lunchtimes until such a time as the issue is remedied. In extreme cases, students will be placed out of circulation until the issue is successfully remedied. We reserve the right to make a professional judgement of what constitutes an extreme, and what constitutes subtle and natural make-up. For us to ensure we are consistent in our application of all policies, we ask that you support us with any action we deem necessary to ensure the highest standard of uniform and its consistent application across the school. uniform are subject to our behaviour policy. contacting parents to request that they bring missing or incorrect items of uniform in. extreme cases, students will be placed out of circulation until the issue is successfully remedied. of uniform and its consistent application across the school. Black trousers. Not skin tight or cropped. Not denim material. Practical outdoor coat or anorak – No fashion items including leather, denim or sweatshirts/hooded tops, bandanas or baseball caps. Outdoor clothing should not be worn when inside the school building. Shoes – Plain black practical leather (not canvas shoes or pumps, trainers/material sports shoes). Students wear their footwear five days a week. It is important that they are suitable and sturdy. No logos or brightly coloured laces. Jewelry – Wristwatch only. Facial or body piercing are not allowed. Hairstyles – Extreme hairstyles or unnatural colours are not permitted. Fully shaven heads or parts of heads/shaved patterns/lines in hair or eyebrows are not permitted. If religious headwear is worn, it should be plain black or navy blue. Long hair should be tied back in practical subjects for health and safety reasons. Girls’ uniform is currently under review. This page will be updated when it is finalised. Black trousers. These should not be skin tight. They should not be made of lycra or denim material and should be full length and not above the ankle. No Leggings. Alternatively, black skirt of knee length. If worn, skirts should not be skin tight and not have splits. They should not be made of lycra or denim material. Practical outdoor coat or anorak – No fashion outer wear including leather, denim, sweatshirts/hooded tops, bandanas or baseball caps. Outdoor clothing should not be worn when inside the school building. Shoes – Plain black practical leather (not canvas shoes, trainers/ material sports shoes). No logos, oversized buckles or metal detailing or brightly coloured laces. Fashion shoes e.g. high heels, open toes or slip on shoes are not suitable. Boots or shoes above the ankle should not be worn if wearing a skirt. Students wear their footwear five days a week. It is important they are suitable and sturdy. Tights/socks – Black tights or plain white or black socks between ankle and knee length. No patterned tights. Jewellery – No jewellery except for a wrist watch and for girls with pierced ears one pair of studs (one in each ear). No other piercings are allowed. Make –up – If worn must be subtle and natural in colour. No nail varnish/gel or false nails. Hairstyles – Extreme hairstyles or unnatural colours are not permitted. Fully shaven heads and fully shaven parts or shaved patterns or lines in hair or eyebrows are not permitted. If religious headwear is worn, it must be plain black or navy blue. Hair accessories if worn should be subtle and black or navy blue.